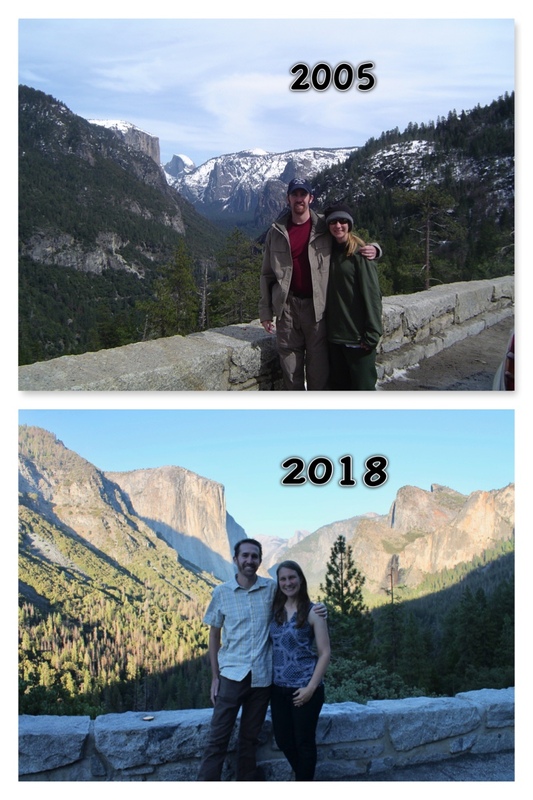 Currently living/working in: We spent all of September in Yosemite National Park for our role as the Subaru/Leave No Trace Zero Landfill Team!! We’re in route back to Denver/Boulder to wrap up and report on our summer gig. Then we move into our next phase of work: so many Backpacker Magazine deadlines!!!! Current mood: Bewildered how the 4 months on the road is already over. But also tired (our last event was a 5-day setup and it rocked, but it entailed long days). Currently not excited about: Because we go nomadic for several months, we stockpile the mundane life tasks into a few weeks. We’ll be in Denver all of October catching up on medical stuff, jury duty and other necessary evils. Currently amazed by: How much we learned this summer. Mostly about recycling, but also about ourselves and as a team. I just didn’t expect learning to such a big part of our experience. Currently regretting: In all the other national parks, we were pretty adamant about hiking as much as we could. We accumulated miles here in Yosemite, but not as many as we could have. Blame the crowds, the heat or the fact that we’ve been here before, the bottom line is, we definitely did not take full advantage of having trails in our backyard. Currently worried about: My father has some new complications in his health & it is hard being so far away. I have an extended trip planned there this winter, but that can’t come soon enough. Currently thankful for: This whole opportunity with Leave No Trace/Subaru. 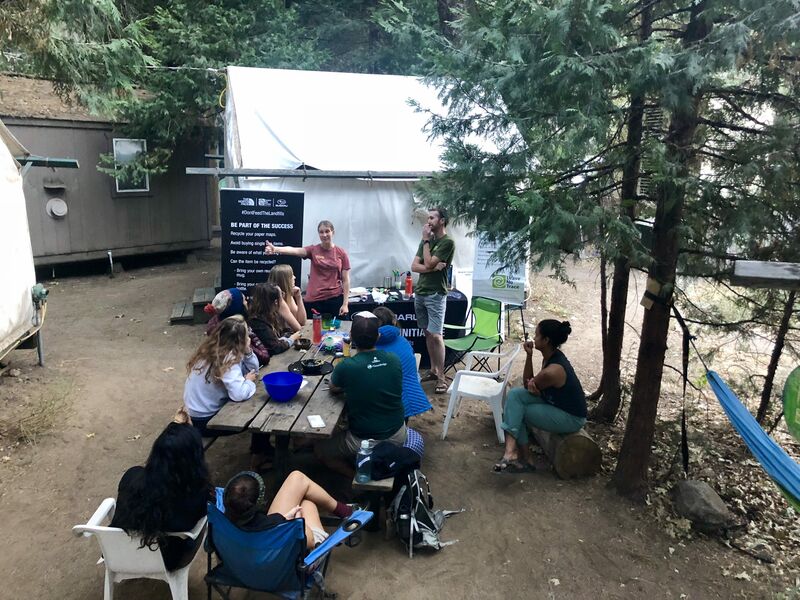 We absolutely loved working for both these stellar organizations sharing our passion for environmental ethics and are stoked to work for them again in January (more on that later!). Currently proud of: It wasn’t always easy planning out a tour last minute with so many moving parts and people involved, but I believe we dealt with the adversity well. Again, Leave No Trace and Subaru were always fully supportive, which definitely balanced the challenges. Current guilty pleasure: Sport watching!!! Justin loves football season, and I actually do too. We’ve been able to watch 3/4 weeks of football so far, and hopefully more to come in October. Current confession: I hope to take a little social media holiday soon. I honestly felt burdened and stressed by the 1,600 pictures and videos we took—which needed to be sorted for Leave No Trace, Subaru and personal use—as well as social media obligations all around. I will look forward to going dormant a bit this winter! Don’t worry, I’ll never give up blogging (it’s my favorite! ), but it just may be a little dark for a bit. Currently reading: I finished Alaska Wilderness by Robert Marshall. This is an old book about Marshall’s expeditions by foot north of the Artic Circle in Alaska. Justin brought this book—that we’ve had in our collection of books FOREVER—on this trip thinking he’d read it. I was determined that SOMEONE read it since he wasn’t. So I did! And I liked it very much!! I just love any and all books about Alaska. Currently watching on Netflix: I’m going to use this space to make a shout out to 2 AMAZING movies that are NOT on Netflix: Free Solo and Dawn Wall. Both of these happen to be about famous climbers (Alex Honnold and Tommy Caldwell, respectively) on Yosemite big walls and happen to just come out and happen to be featured one day only in Yosemite while we were here. Lucky us! They are both AWESOME movies. Even if you are not a climber, you would enjoy them. Even the trailers will inspire! I’ve been taking weekends off of Instagram and it has been heavenly. Last week I took Wednesday off as well and am likely to make that my new role. I guess you were IGing for LNT? I didn’t see you post that often on your personal IG. I don’t even attempt to share everything on IG. It’s for snippets, IMO. YAY for a break and can’t wait to hear what else you have going on. Oh, I have some movies I want to see that aren’t on Netflix either but have no idea how to really see them otherwise. hope your father recovers soon, though I know his health problems were more chronic, right? We did the Instastories & LNT pix every Friday … I may do 1 more today. I often come across movies (outdoor ones) that I want to see, but they are hard to find. I think Free Solo & Dawn Wall will be showing nationwide in theaters shortly, but not sure if they will be available to stream somewhere. I just can’t stress how inspiring they were! We want to see them again!